Our client based near at Haymarket is looking for an Administrator to join their team. No office experience is required but some Customer Service skills would be of benefit, there will be full training in the job role. The job consists of liaising with clients via telephone, face-to-face and email, creating invoices, typing letters, making/receiving calls, database work and setting up the boardroom for meetings. The client is looking for someone who has a nice manner, is presentable, keen to learn and a good time-keeper. This is a full-time vacancy. We will also help the successful person to achieve an MA/SVQ 3 in Business and Administration, which is gained in the workplace. 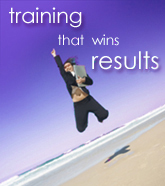 RTL is an Equal Opportunites Employer and Training Provider.